Wash the figs and cut them into four parties shaping a flower. 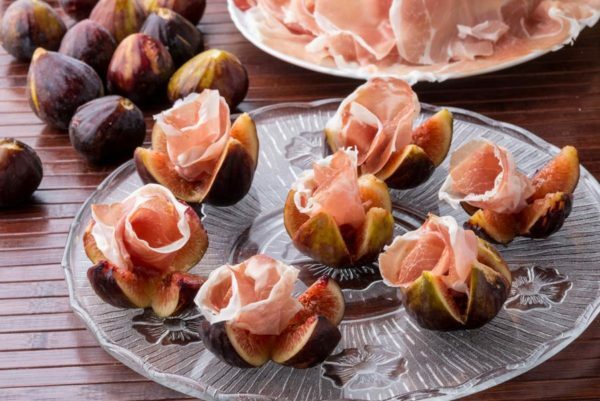 Place The Culatello di Zibello PDO on the figs by forming a little rose. Garnish with EVO oil if desired and serve.